Recently opened Farro has truly established themselves as maestros of the Fitzroy pizza scene. If you are looking for quality pizzas of the gourmet kind, this pizzeria should be at the top of your list. The restaurant possesses a polished industrial feel which retains a warm and familial character. 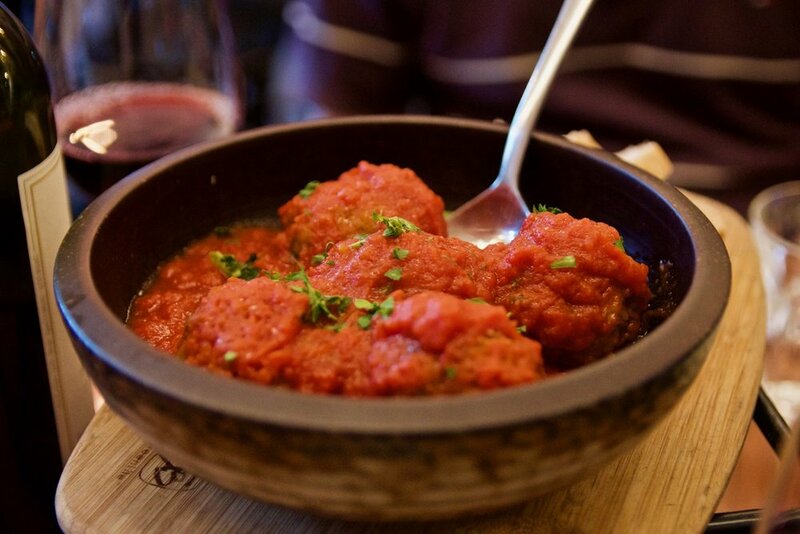 The menu is grounded in strong Italian heritage whilst introducing some innovative vegan menu items and spins on classic dishes. The appeal of Farro’s pizzas lies in its beautiful crusts and the use of quality produce. As tomato and cheese are staple ingredients in almost every pizza on the menu, it is crucial that they get it right. And fortunately, they do. There is a pleasant freshness underlying the tomato base and the fior di latte, a type of Mozzarella that is made from cow’s milk, is milky in flavour and pleasingly delicate in texture. The Paesan was a pizza containing S. Marzano D.O.P. tomatoes, hot sopressa salami, Fior di latte mozzarella, chilli, fresh basil and E.V.O. oil. 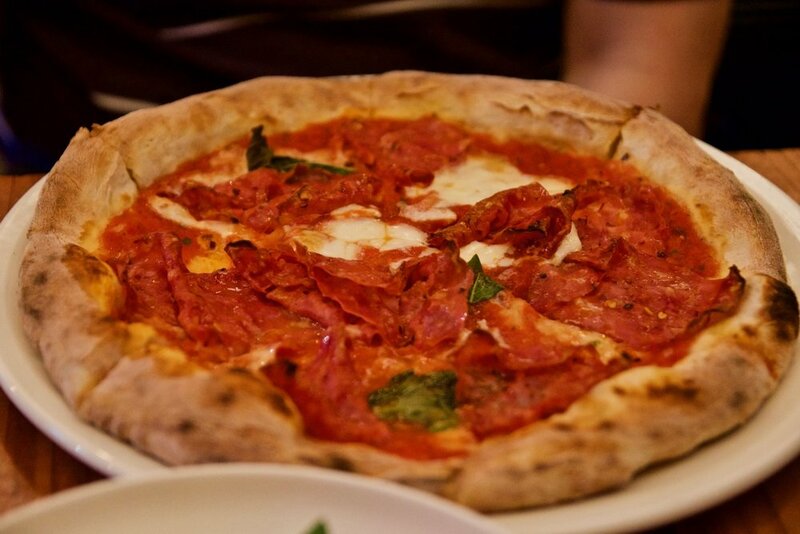 The full-bodied porkiness of the hot sopressa salami was delectable and made a worthy contribution to the pizza. 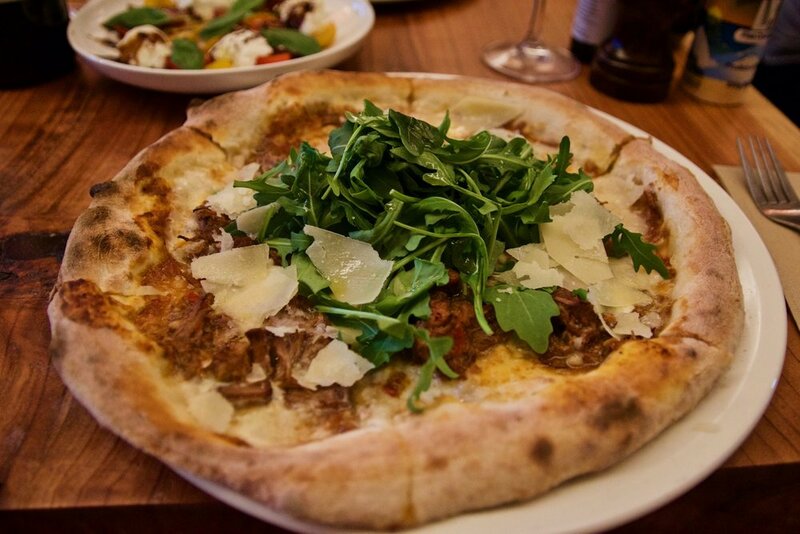 The Osso Buco pizza was similarly delicious and would satisfy any meat lover. Think layers of Fior di latte mozzarella, slow cooked melt in your mouth osso buco with its sauce, fresh rocket, shaved G.P. parmesan and finished with E.V.O. oil. Apart from pizzas, the antipasti are equally sensational. 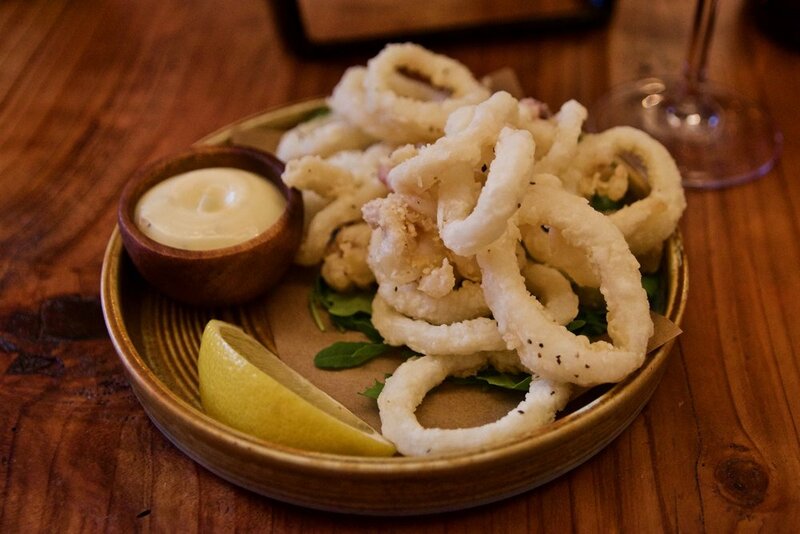 The Calamari Fritti and Polpette are our top picks - each a perfect rendition of a classic. Dessert time is exciting at Farro. 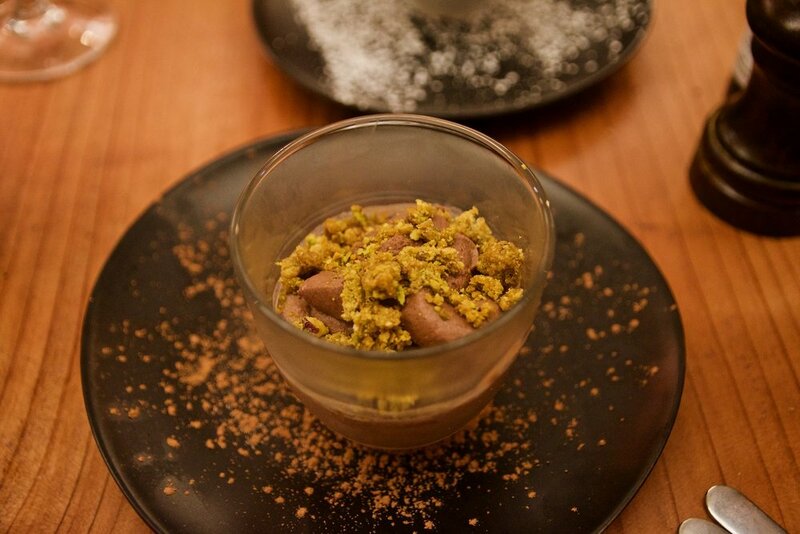 We recommend the Vegan Chocolate Mousse served with toasted pistachios. You don’t have to be vegan to enjoy this. It’s simply beautiful.